Most people are aware that Spain has been in the news a lot lately. With desperate figures for unemployment and a struggling economy, to the casually informed, it probably seems like it is a horrible time to Teach English in Spain! But the TESOL (Teaching English to Speakers of Other Languages) market is a totally separate, different case. In fact, LanguageCorps recently received an email from a partner in Barcelona, stating that the demand for private English classes in Spain has never been higher! It’s actually fairly logical If you think about it. Finding work is difficult for the average job seeker in Spain right now, so knowing English is becoming more and more important. To have at least First Certificate English on your resume is now practically essential in Barcelona and the rest of Spain. Add to this the fact that English is now an obligatory core subject at University here, and the market for English teachers is as strong has it has ever been! 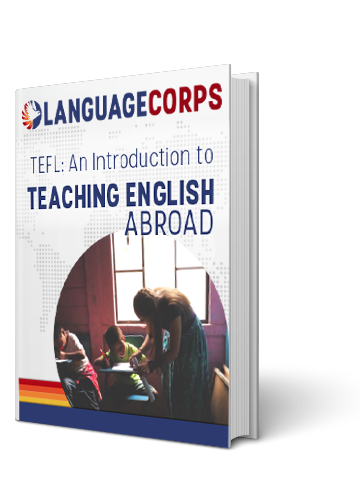 As the US and European economies struggle to climb out of recession, it remains a fantastic time to Teach English Abroad. And although it might seem counterintuitive, the demand for English teachers in Spain remains consistently high. Need some more convincing as to why Spain ain’t a bad place to live? Check out our recent TESOL spotlight.